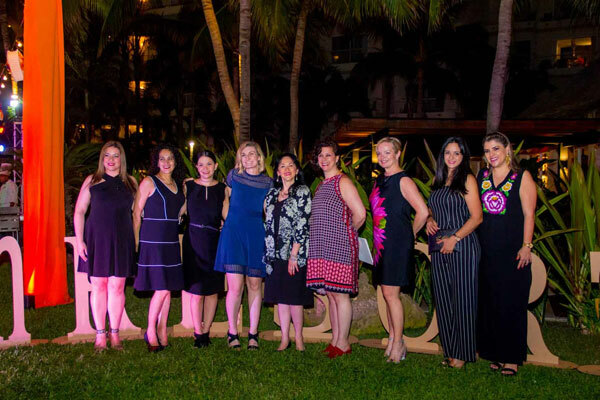 AMResorts officially celebrated the opening of Reflect Krystal Grand Nuevo Vallarta during the annual tourism industry event, Gala Vallarta, which was held recently. A result of the strategic co-branding alliance between AMResorts and Grupo Hotelero Santa Fe, Reflect Krystal Grand Nuevo Vallarta offers a new vacation option for friends, families and couples. Located on a beach with views overlooking Banderas Bay, Reflect Krystal Grand Nuevo Vallarta offers an Unlimited-Luxury experience where everything is included. Eight reservation-free dining options offer enticing dishes from a variety of cuisines, while three bars and lounges pour delightful cocktails and spirits. The adults-only Sky Lounge offers bay views, perfect for enjoying a cocktail and watching the sun set. Four swimming pools offer dedicated family-friendly and adults-only options that cater to the needs of every traveller. Nuevo Vallarta continues to top travellers’ lists as a sought-after destination on a consistent basis. The introduction of the family friendly Reflect Krystal Grand Nuevo Vallarta property provides the perfect getaway for guests, offering experiences and features that adapt to every traveller’s style. Attendees at the Reflect Krystal Grand Nuevo Vallarta opening celebration, from l to r, included: Claudia Flores, MAPRESA; Raquel Rios, MAPRESA; Cristina Rodriguez, Director of Sales, Dreams Villamagna Nuevo Vallarta; Erica Doyne, VP of Marketing, AMResorts; Yarla Covarrubias, Sales & Marketing Director, MAPRESA; Colette Baruth, SVP, Sales, Marketing & Distribution, AMResorts; Jan LaPointe, VP Strategic Retail Sales North America, AMRewards, Sales & Marketing Canada; Gabriela Lopez, Director of Sales, Sunscape Puerto Vallarta; and Veronica Robles, Director of Sales, Reflect Krystal Grand Nuevo Vallarta.